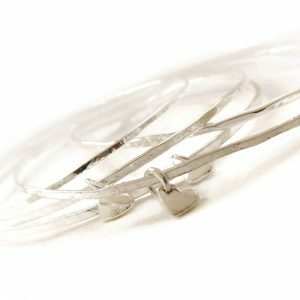 Hand crafted sterling silver feather earring on a silver ball stud fitting which a butterfly back. 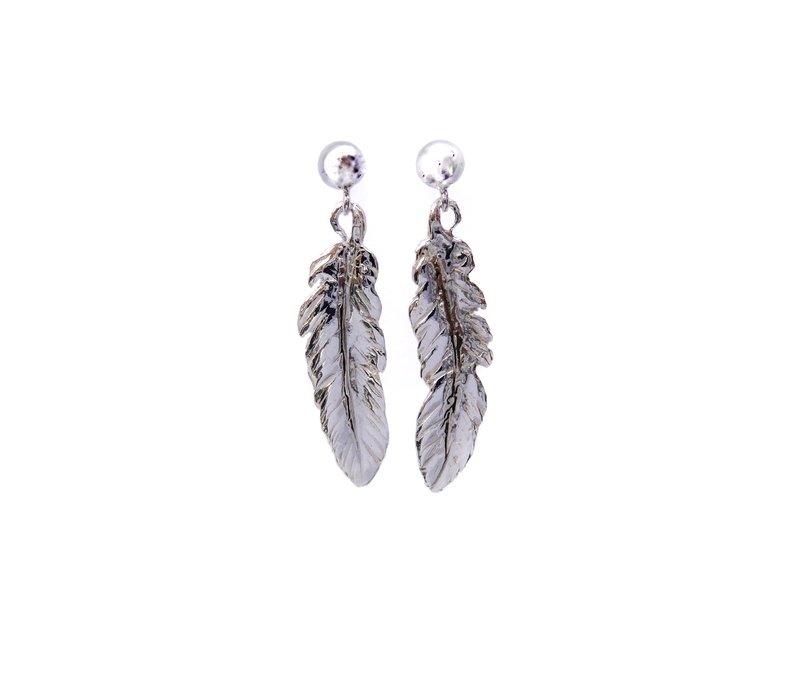 Beautifully hand crafted sterling silver feather earrings. These earrings are polished to a bright finish but also show the detail of these fine hand crafted feathers. 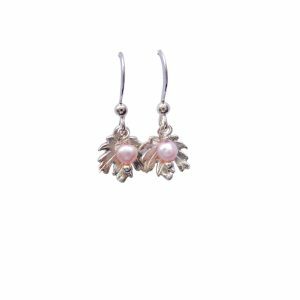 They swing gently as they are attached by a tiny loop and swing from the bottom of the ball stud earring fastening. The silver feather is approx 23mm in length. 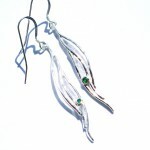 Handmade white gold drop earring with green diamond.